In order to create more high-quality games and attract players, developers are always thinking of ideas to create unique games. They constantly produce more quality games to satisfy the players. Besides, the developer is also very skillful in combining many types of games that the player likes in one game. Shellfire is a game with a combination of the two hottest genres today, FPS and MOBA. 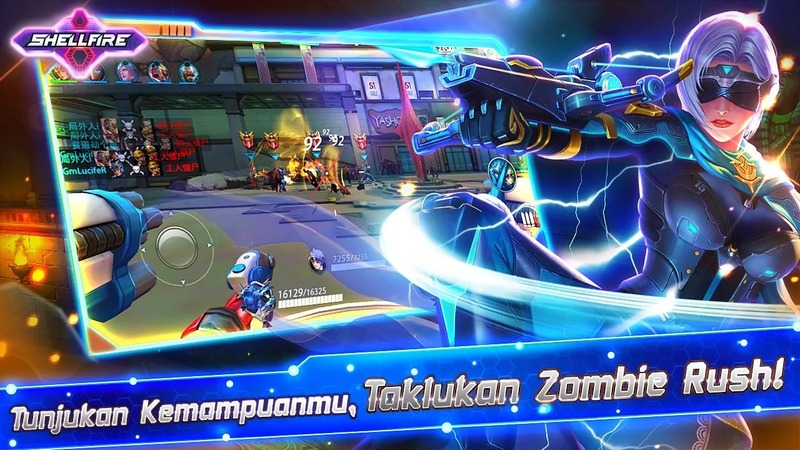 The game was released by Dunia Games, a well-known developer from Indonesia. It can say Shellfire with the mobile version is like Overwatch on the PC. Dawn Guards, where people are gathered to disillusionize. These people try to protect the hope of humanity, work hard to protect and to build peace. But this is not easy when confronted with opposition. It’s Revenant Corp, people with ambition and try to rule the world in any way. Thus leading to a fierce battle that decides the survival of humanity. The story is not so important in a game like this because the gameplay is something that players are more interested in. But the publisher has created a detailed and in-depth story that makes the game more exciting. When you start the game, you and your teammates will select the corresponding hero of the location in the map. Each hero has a different role, such as Tanker, Attack or Support. 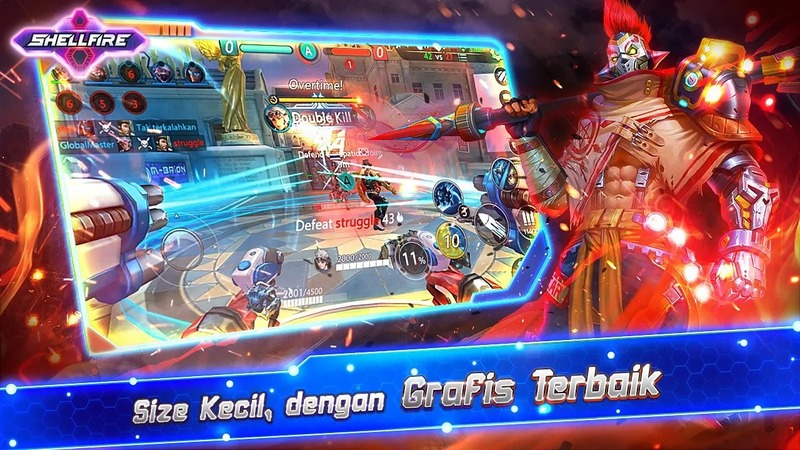 Something different from the MOBA games that Shellfire combined with the elements of FPS game. The control mechanism is also quite similar to FPS game including the virtual key to move, the key to shooting and some special skill key. Your task is to coordinate with the team to crush the enemy team to win. 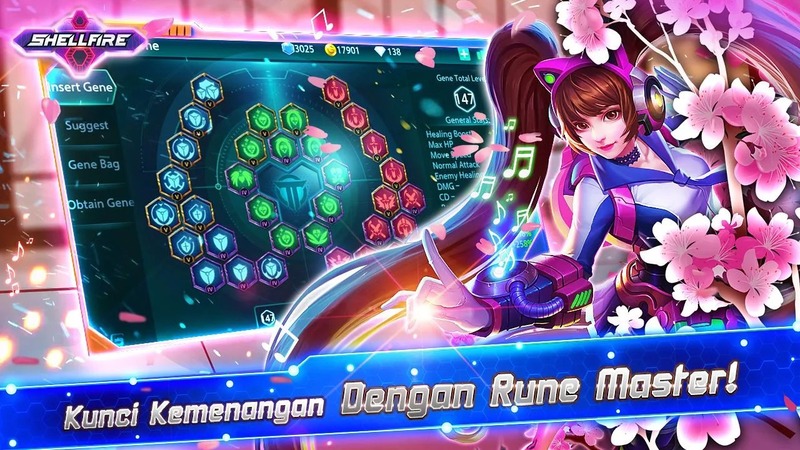 In addition, like the Arena of Valor, you can unlock and upgrade the auxiliary jade in the Dengan Rune Master system. Shellfire owns a very diverse hero system with a role quite similar to the heroes system in MOBA game. As a Tanker, you will shield allies and attracting damage from the enemies. Besides, Attack is the main damage taker will take the role of attacking, destroying the target. Support is who protect Attack, has the role of buffs HP, mana and increased damage to allies. In addition to the existing heroes, Shellfire continuity unveiled new heroes with new skills. As with some MOBA titles, Shellfire‘s 5v5 Battle mode is split into two categories: normal and rank. 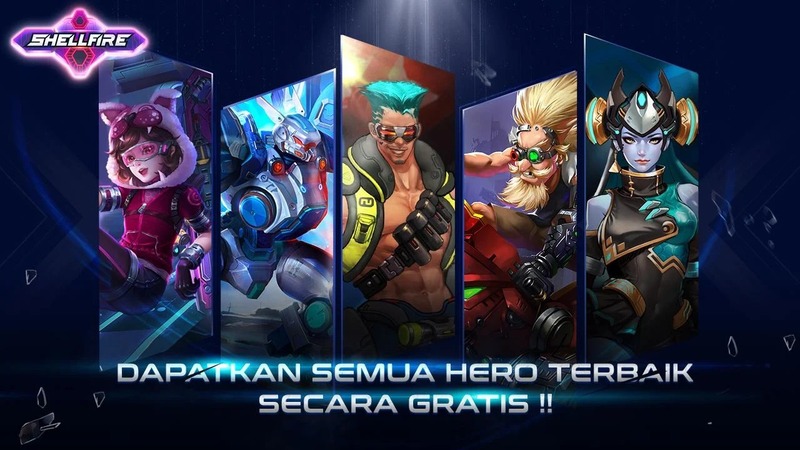 In a normal match, you can participate in many other matches such as solo with others, confronting Al enemies or you can also create a custom game to play with your friends. 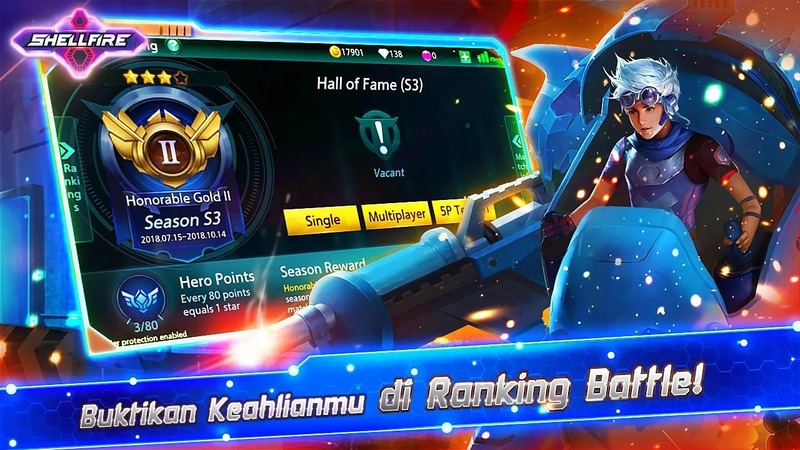 In 5P Team In ranking mode, you will fight beside 4 of your peers to win, trying to raise your position on the rankings. Or you can invite 2 more to join them in multiplayer mode. A newly added mode that gives you a new experience is the Zombie Rush, where you’ll join the 10 rounds, beat the bloodthirsty zombies to win many exciting rewards. In addition, the game has some featured modes like Escord, Death Match or Capture Points. I am quite impressed with the graphics of the game. As soon as the experience of trying a game in Shellfire I feel alive through the image and beautiful effects. Still know that quality mobile games are not as good as PC games, but this game really makes me happy when experiencing it. Interestingly, Shellfire’s maps are constantly changing according to each match, has its own unique features, opening up various tactics for teams to exploit. This game is great but just released on Android, there is no version for iOS. You can download directly from Google Play or use the APK file via our links below. If you love both MOBA and FPS, Shellfire is a great choice for you. 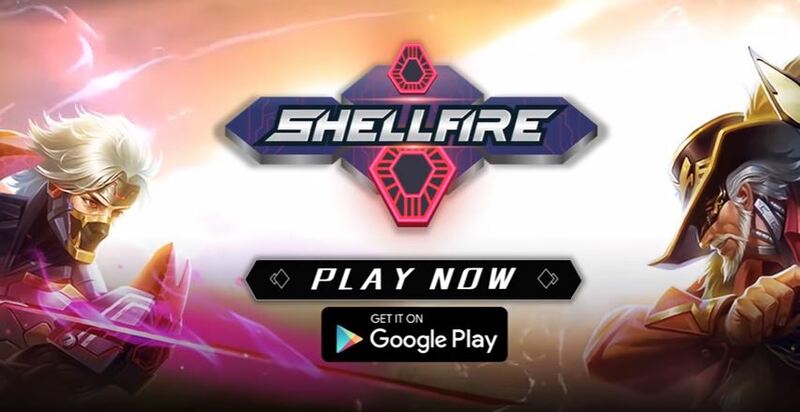 Shellfire APK is ready to download!